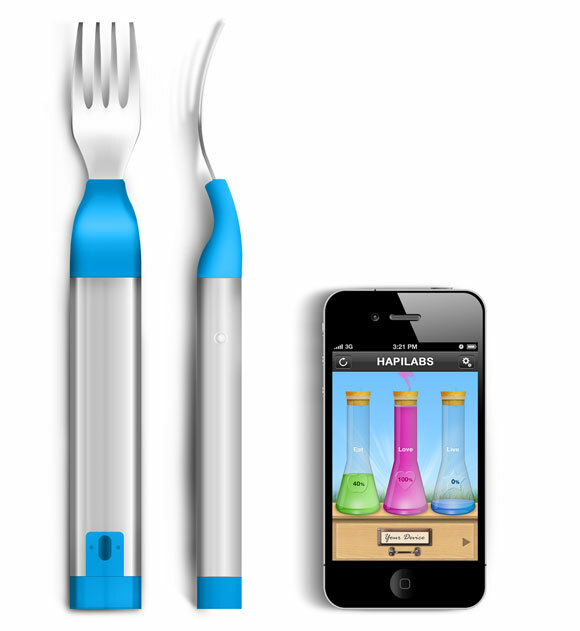 Meet Hapifork, the smart fork that counts your calories as you eat! Yes, you read that correctly. 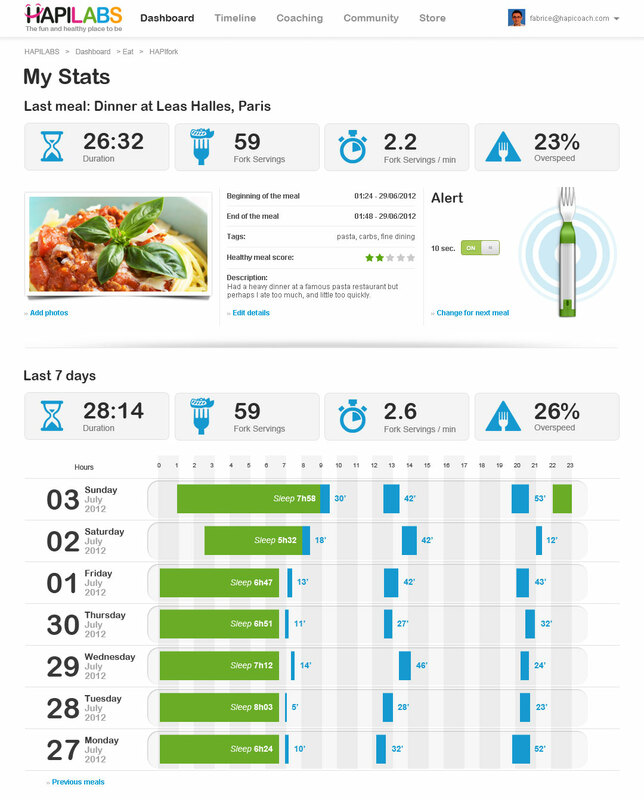 Today at CES 2013, Hapilabs introduced a syncable fork that will count the calories of everything that you put in your mouth and displays data on your device, aimed at ‘greatly improving your digestion’ to help you lose weight. I guess the idea is that as soon as you start to see the calories of some of the things you’re putting in your mouth in real-terms, you’ll start to think twice before eating it and inevitably lose weight. If only it was that simple right? The Hapifork has built-in sensors that monitor the movement from the plate to your mouth, how long you take to eat your meal, and the calculated servings per minute and stationary intervals between eating. If there are fewer than ten seconds between forkfuls then apparently it’s too quick and that’s where the Hapifork steps in. Currently, you’ll need to download the data from the Hapifork to a computer, but Hapilabs say there is a bluetooth version in the works to remove the need for a sync cable. The data also gets uploaded to an online dashboard, I guess for boasting to your friends? Fast eating contributes to weight gain according to Hapilabs, and they are hoping bringing awareness to not only the calories you are eating, but also your eating habits will cause healthier eating by changing habits not completely to do with what we’re eating, but more how we’re eating. It will be available for $100 in both the USB shipping in Q2 2013, and eventually the Bluetooth version which is due to ship in Q3 2013. If I’m honest, this isn’t something I’ve ever considered I needed, but then neither was an iPad – yes I just compared the two. So, with that in mind, would you find a place in your life for the Hapifork?